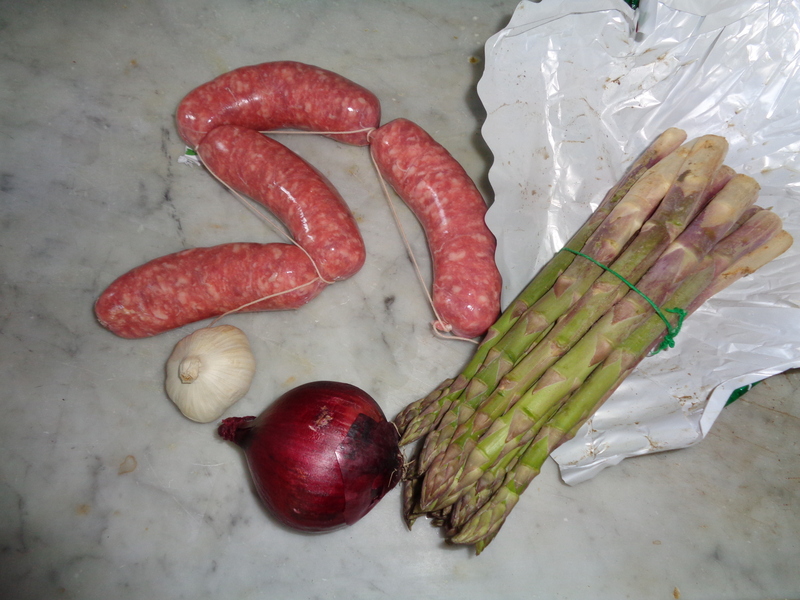 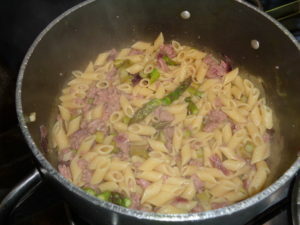 Asparagus, garlic onion and sausage are the simple ingredients of this tasty sauce. 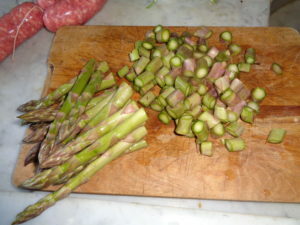 Cut the asparagus beams small pieces. 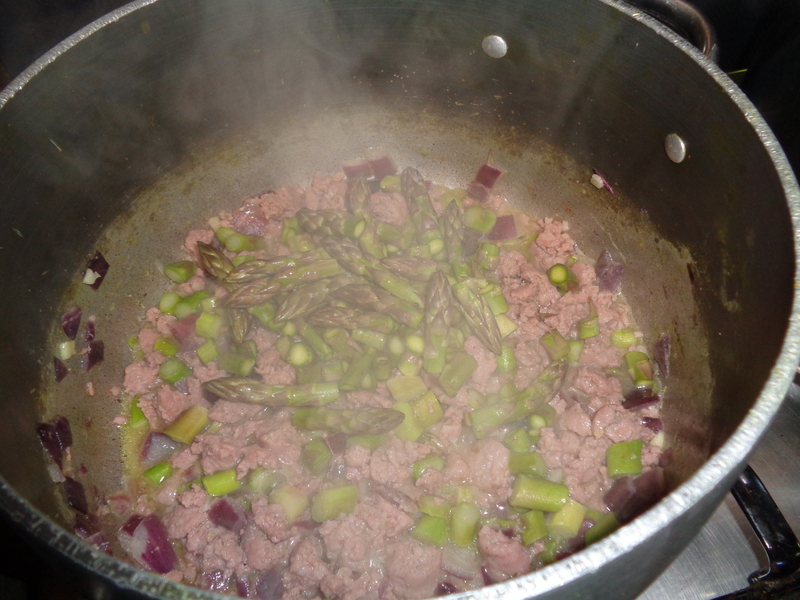 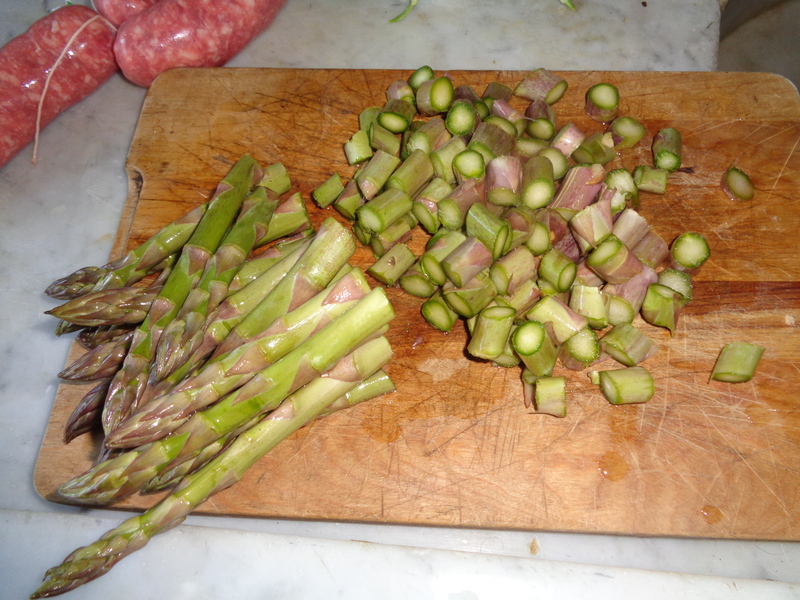 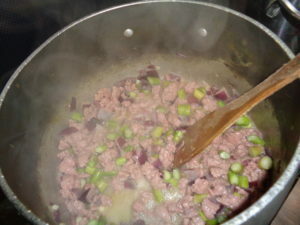 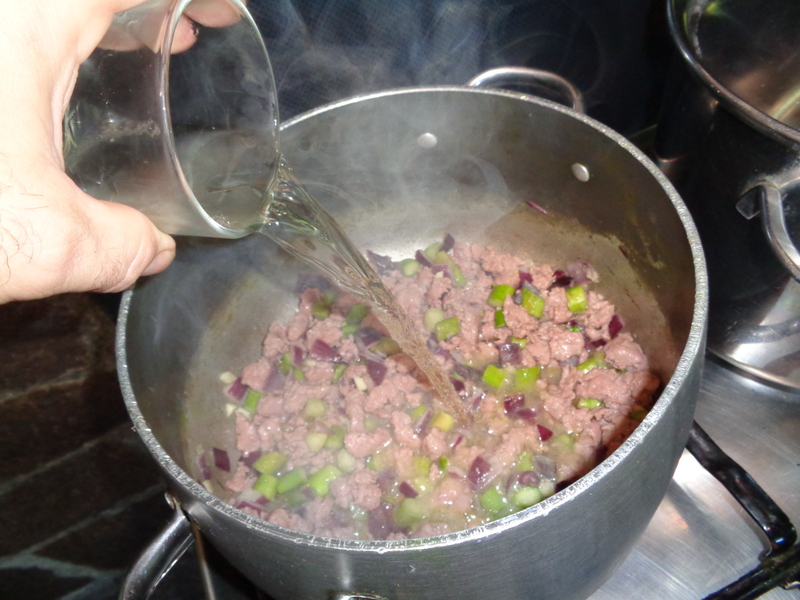 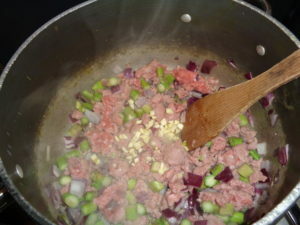 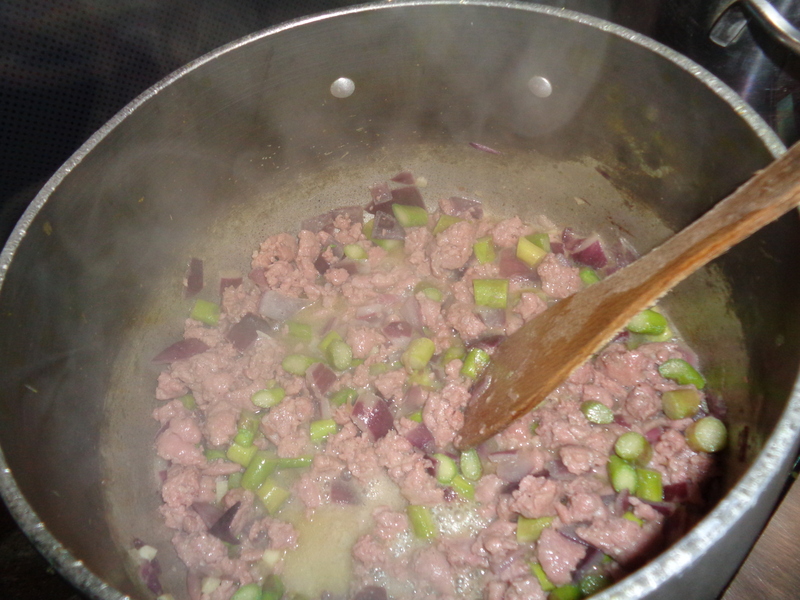 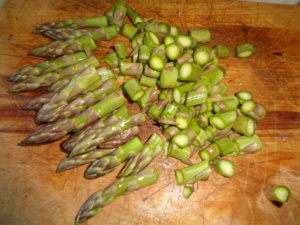 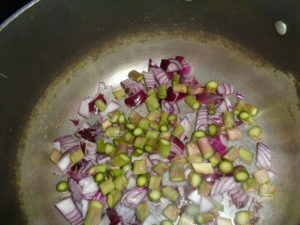 Cut small the onion and put in to the fry-pan along with the asparagus beams, keep the asparagus heads aside for later. Put also the sausage in the fry-pan. 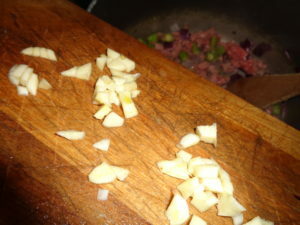 Cut and add the garlic too. Cook everything without oil for now. 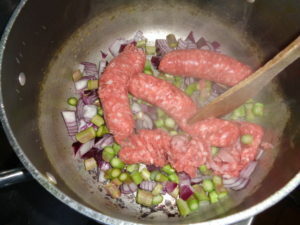 After the sausage roasted, add half glass of white wine. 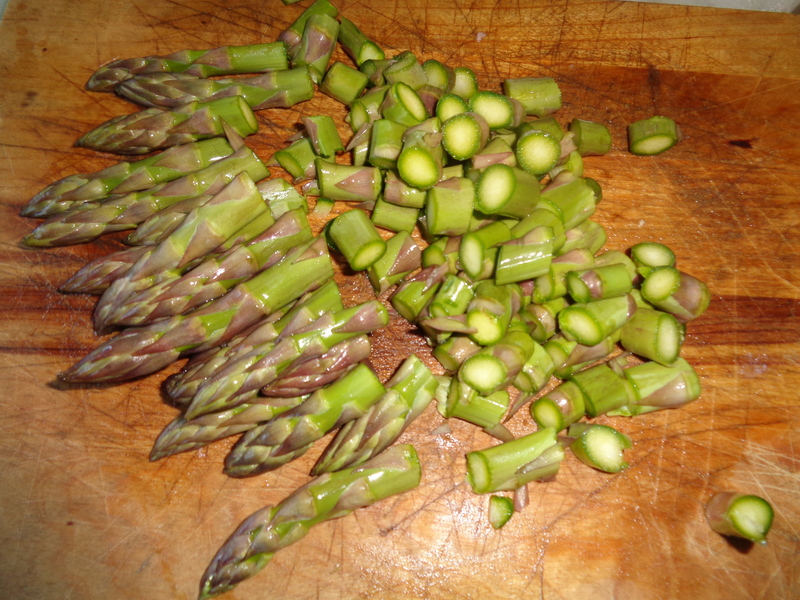 Now is time for the asparagus heads. 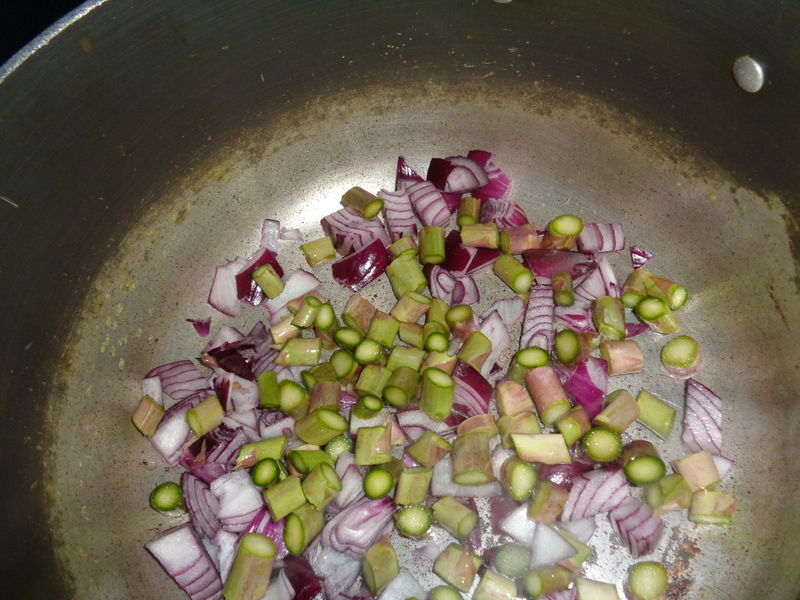 Drop them in the fry-pan. 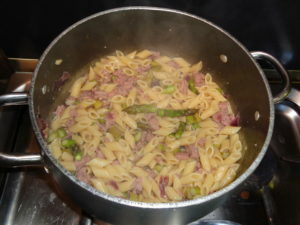 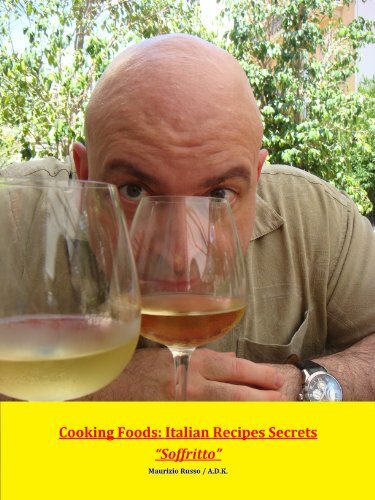 As your pasta is ready, toss it in to the fry-pan, heat and fry for few minutes, then serve.